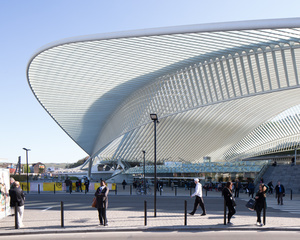 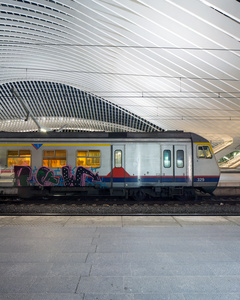 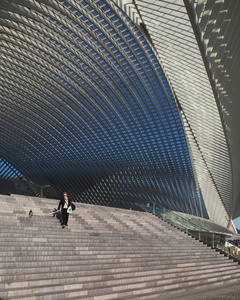 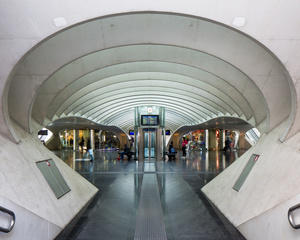 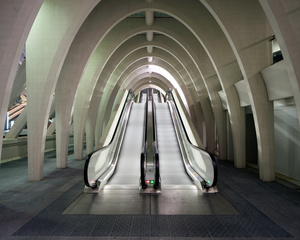 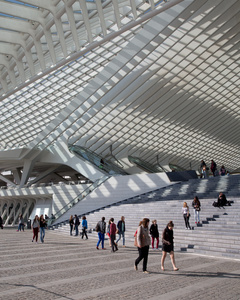 Liège-Guillemins station in Belgium opened in 2009. 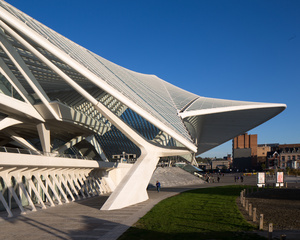 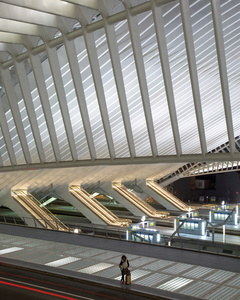 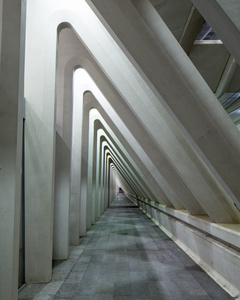 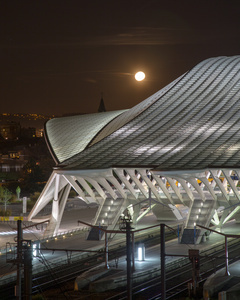 Designed by Santiago Calatrava, it is a major interchange on the European high-speed network. 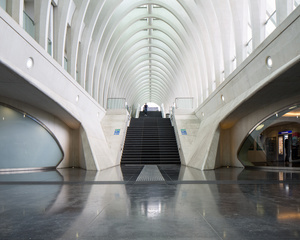 The original Victorian station was replaced in 1959 by a modern building, this itself subsequently replaced by Calatrava's steel, glass and white concrete building. 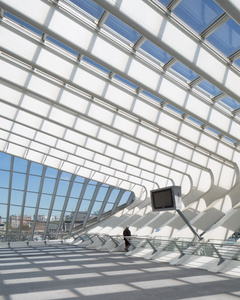 The central canopy stretches over the five main platforms; its glass shell allowing a whole sky's worth of natural light to flood in, whilst preserving the panoramic view of the city from within, like a giant conservatory. 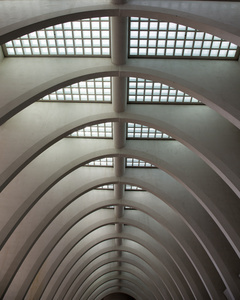 Beneath the platforms, cloister style concrete vaults lend a cathedral-like feel to the structure.